We're drooling over these timeless timepieces in the GearCulture office. Highly stylish and unique offerings, they are forged from 100 per cent pine wood with SolidCore treatment. 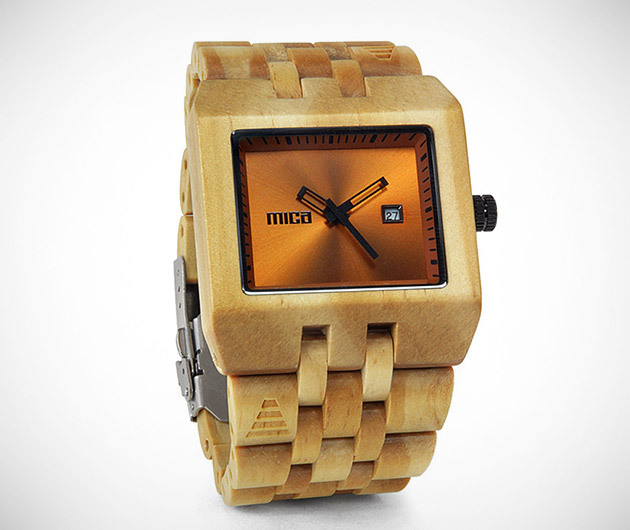 Mica Wood Watches are available with a choice of two strap and numerous contrasting colored faces beneath hardened mineral crystal glass. Splash resistant to five ATM, they also boast 3 hand Japanese Quartz and an elegant stainless steel buckle and crown.